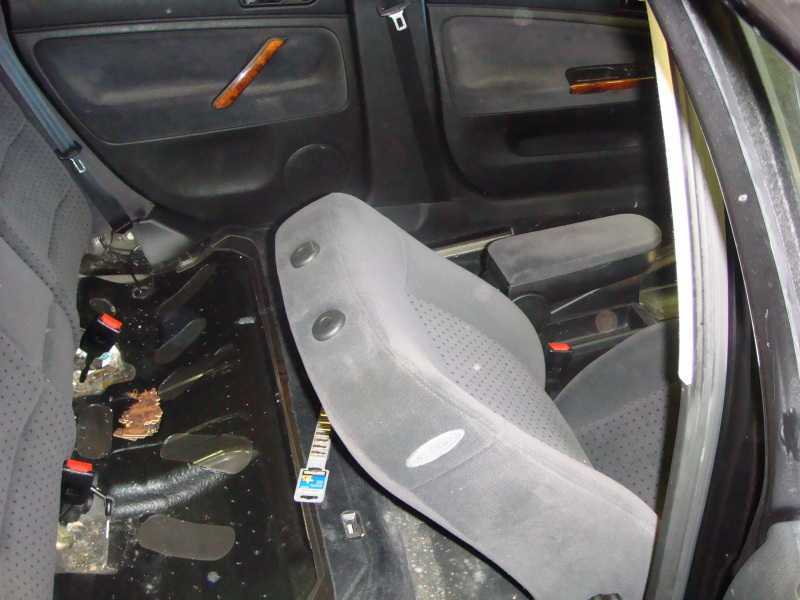 Preliminary steps need to be taken when working on seats that contain airbags. The battery MUST be disconnected to perform this procedure. WARNING!!! Avoid static discharge when handling the wiring. 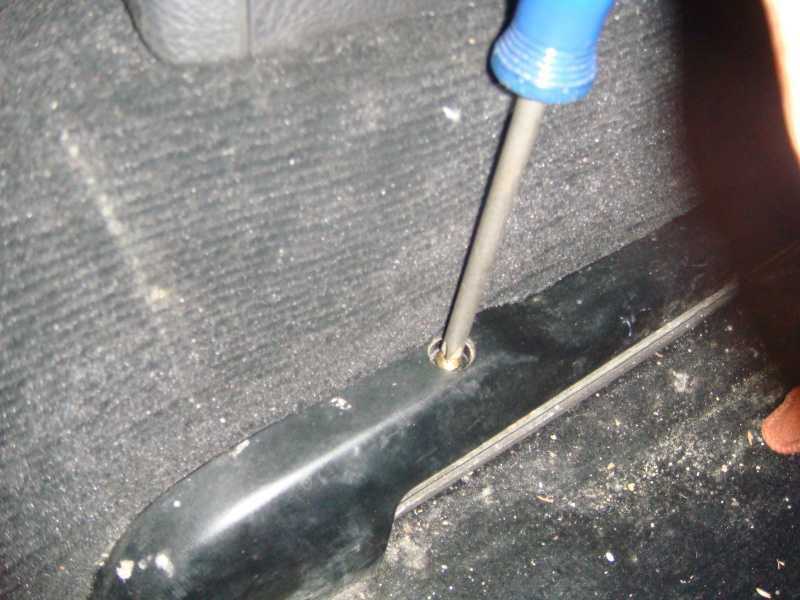 Before going forward with Step #11, make sure you touch some part of the car body that is metal to discharge any static electrical charges in your clothes and your body. 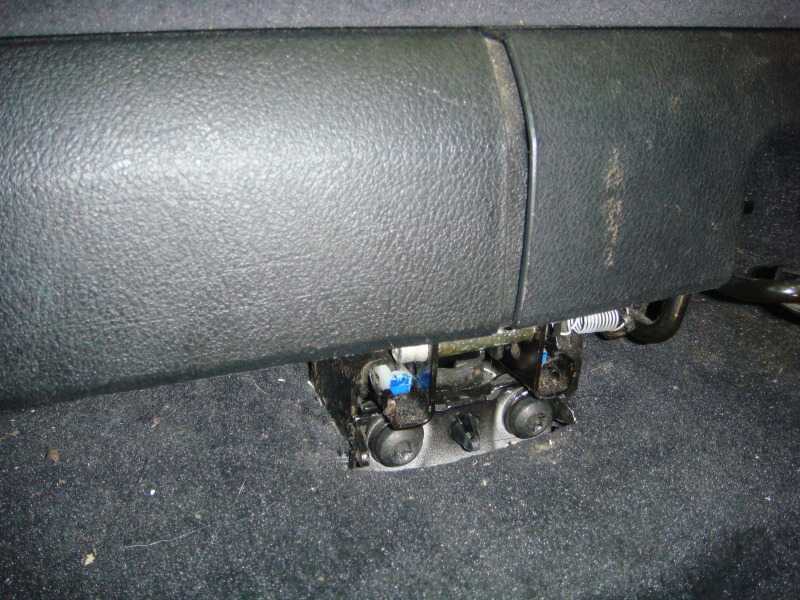 Also when handling the seats after removal from the car, avoid generating any static electrical charges. If someone is helping you, make sure that you and or the other person is never in direct line of the airbag deployment path from the seats. 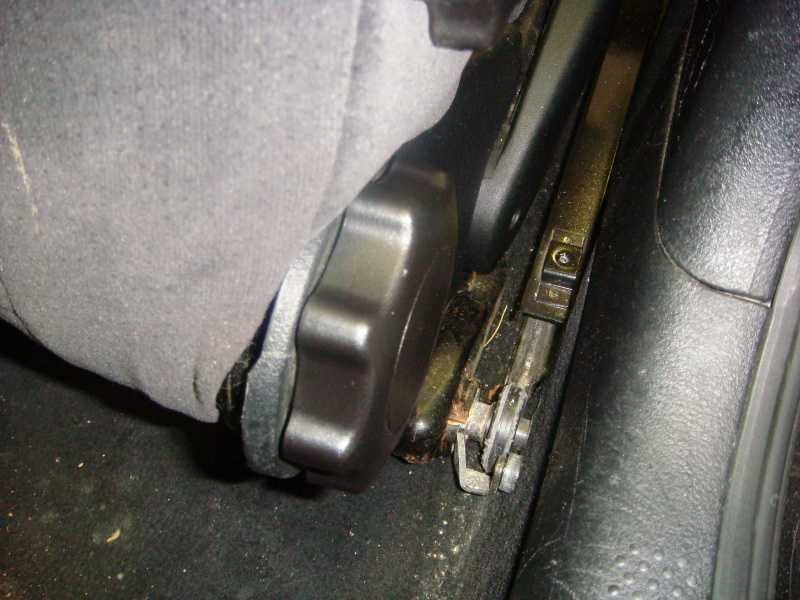 Tilt the seat back to about a 45° and slide the seat all the way back. 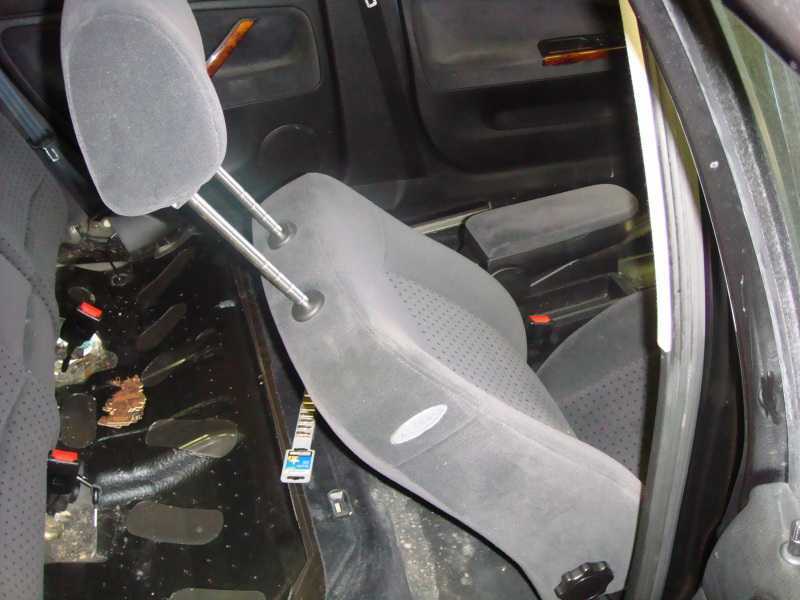 Extend the head rest and pull out. 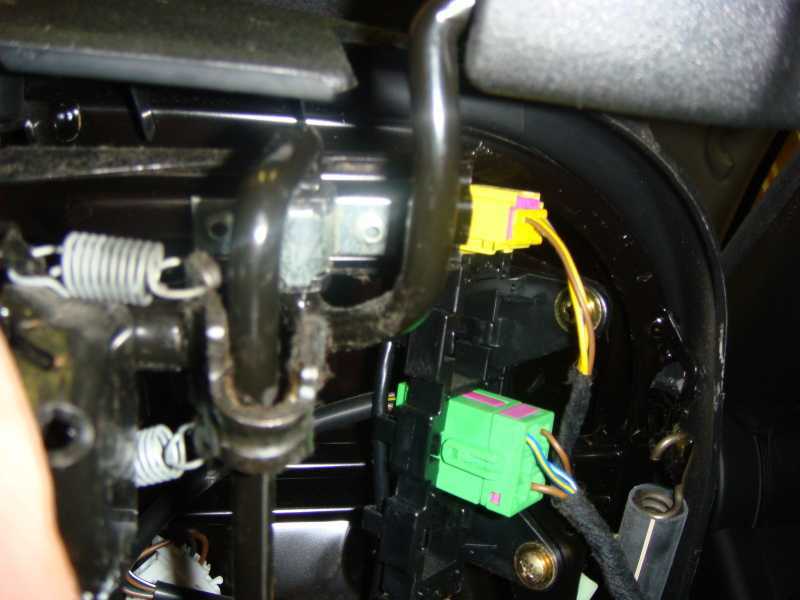 Push on front of seat to disengage the locking mechanism from the bracket. It may be neccessary to pinch the black plastic tap with a needle nose - plastic tab centered between the Torx screws. 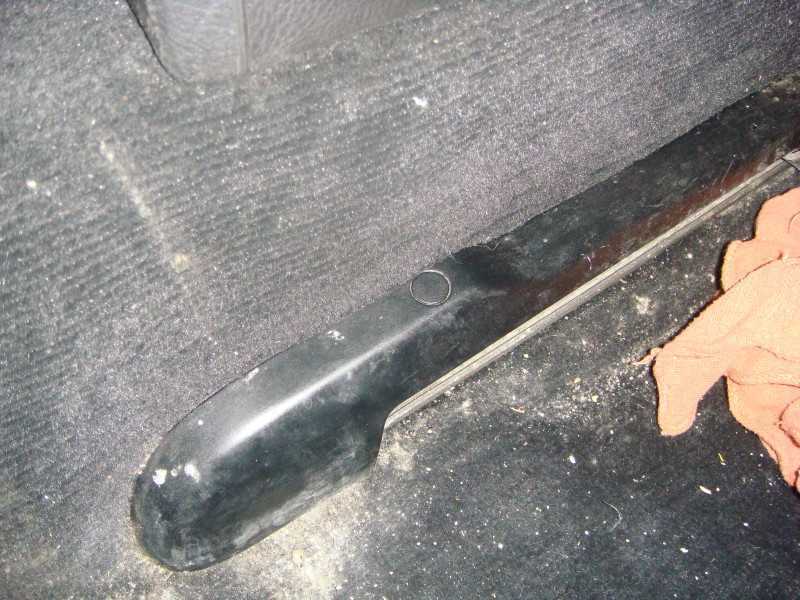 Now slide the seat back carefully until it stops. This will be the seat rollers sliding out of the rails. 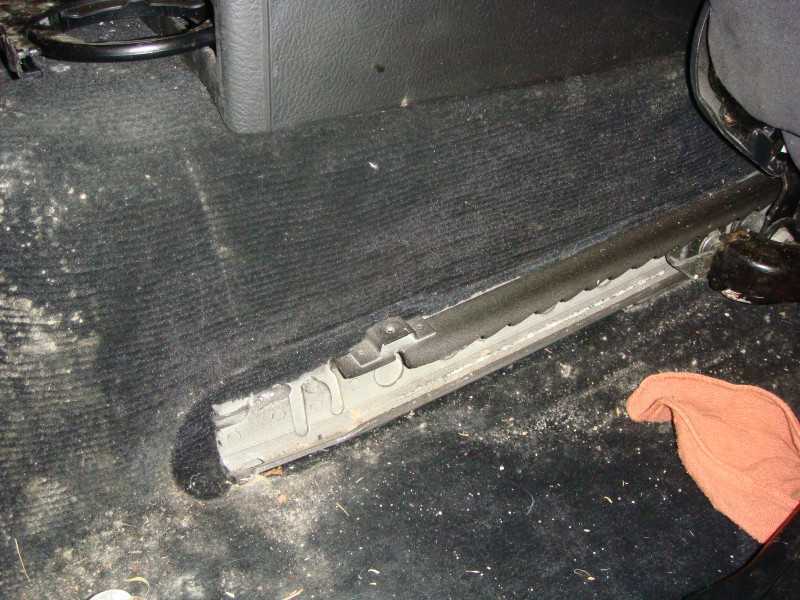 Don't force the seat back to far otherwise the carpet might get torn. 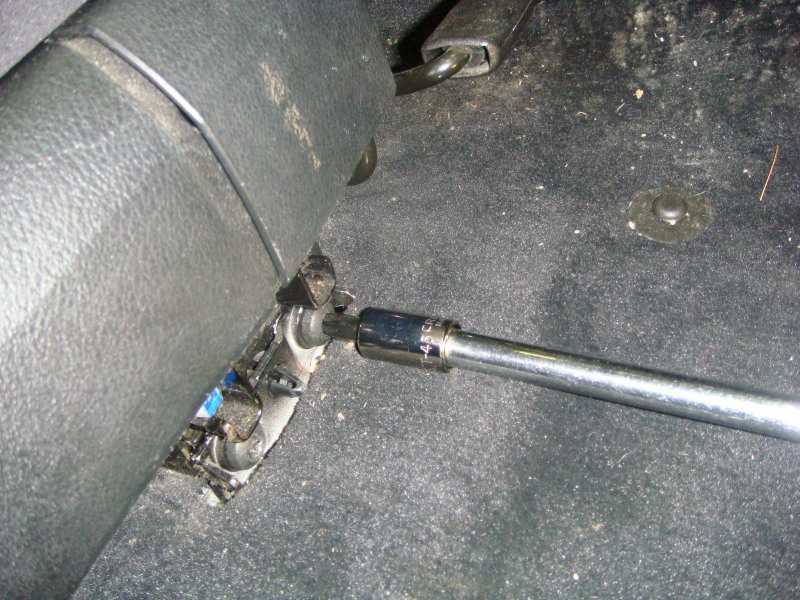 This view shows the seat rollers disengaged from rails. WARNING!!! Avoid static discharge when handling the wiring. 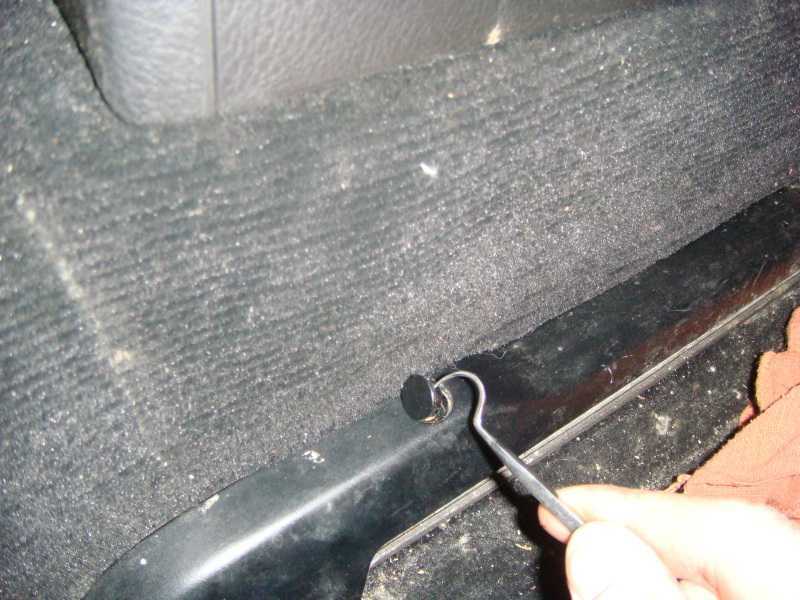 Before going forward with this step, make sure you touch some part of the car body that is metal to discharge any static electrical charges in your clothes and your body. 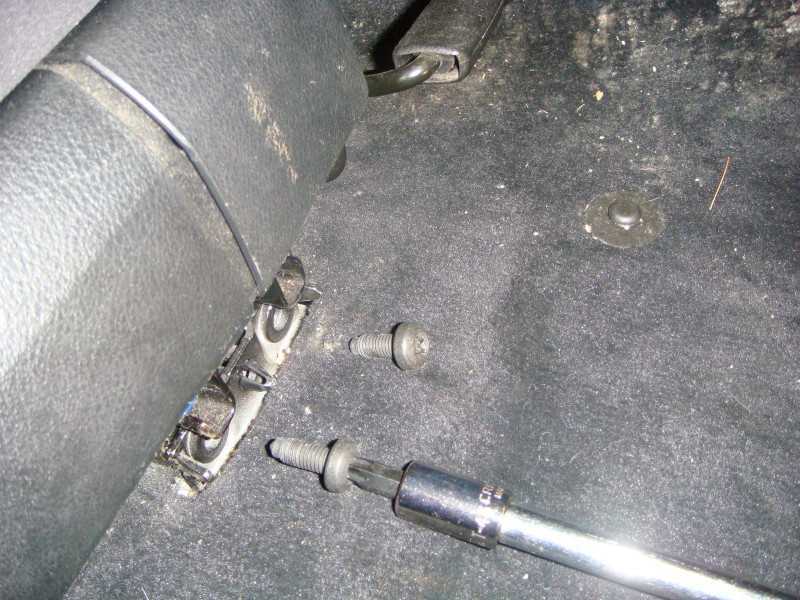 Now carefully tilt the seat from the front to expose the harness plugs underneath. 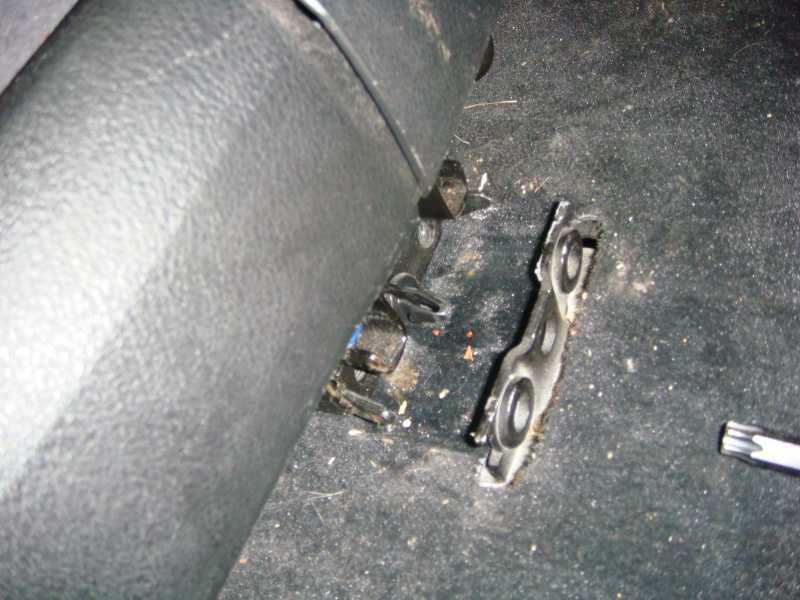 Remove plugs from seat. Now exit the front seat from the car. 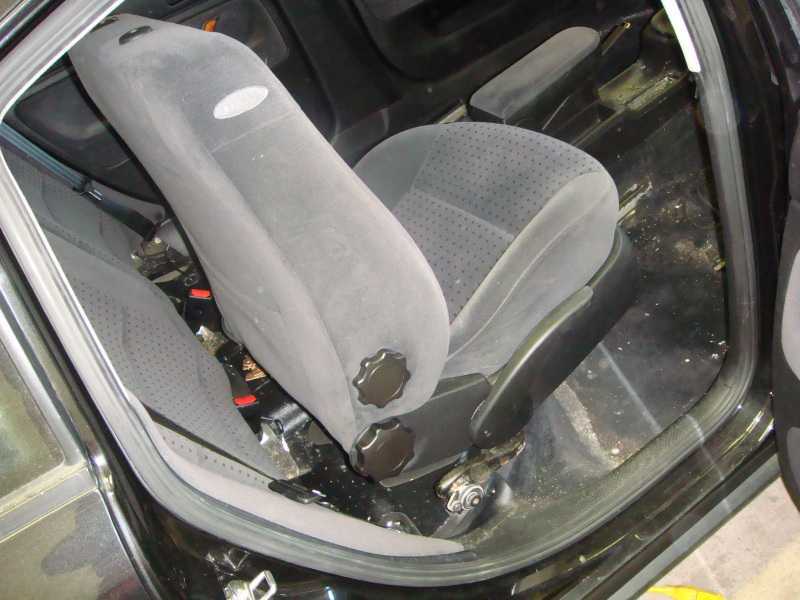 If possible, removing the back seat cushion makes the removal of the front seats much easier. 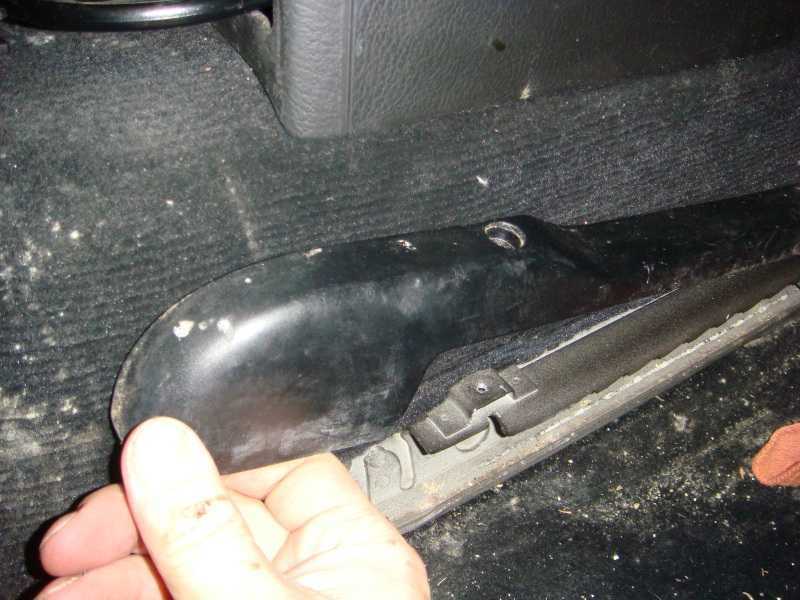 Be extra careful exiting seat from car as not to scratch the plastic trim around the door opening and door skin.